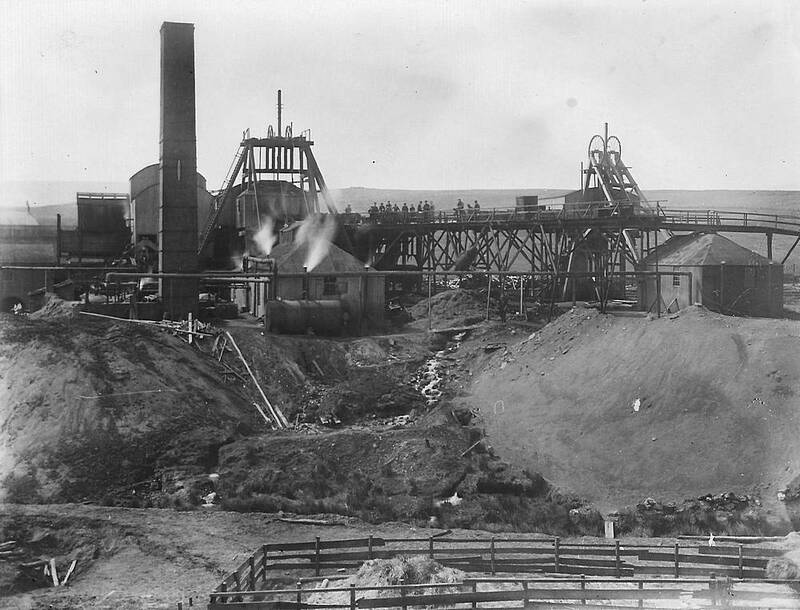 Auchenbegg Colliery was the first in the district where coal was extracted as a deep mine and this lasted for almost 200 years until its closure in 1922. 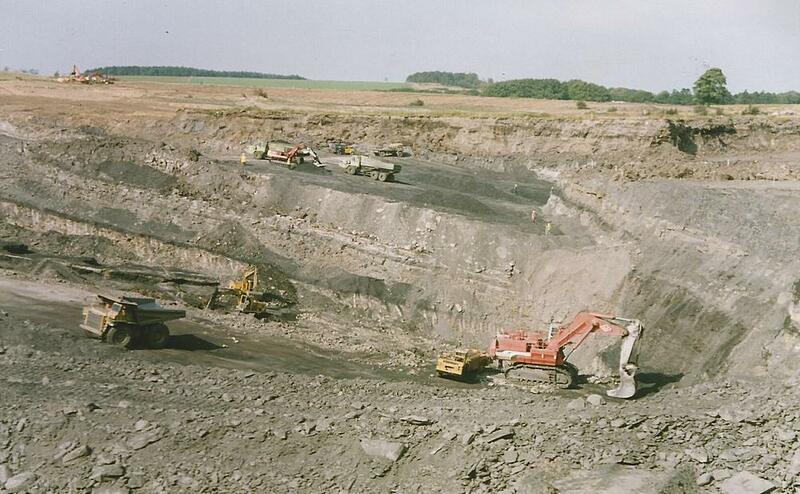 When the opencast mining began in 1988, this was the first area to be worked. 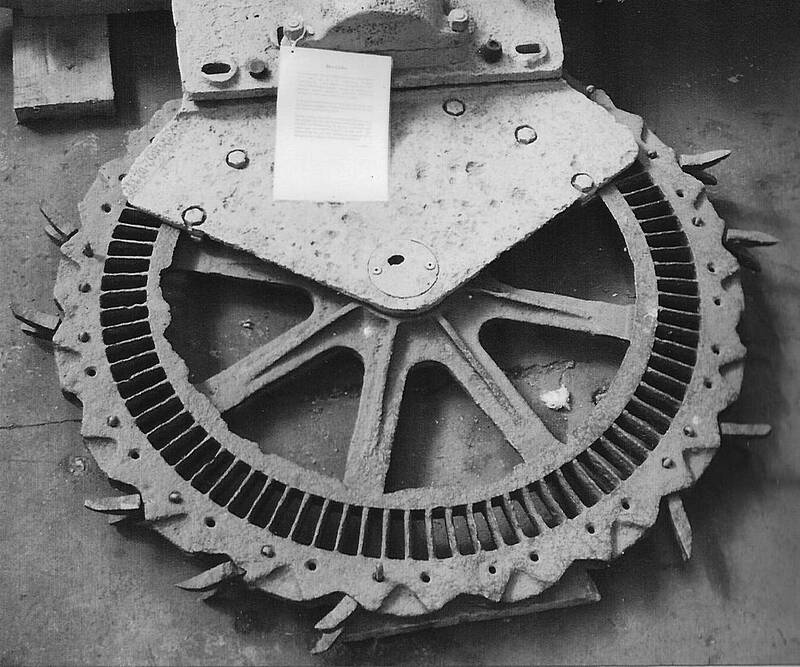 This coal cutter, made by Anderson Boyes in 1913, was unearthed when opencast mining began in 1988. This was renovated and is now on display in the Scottish Mining Museum at Newtongrange. 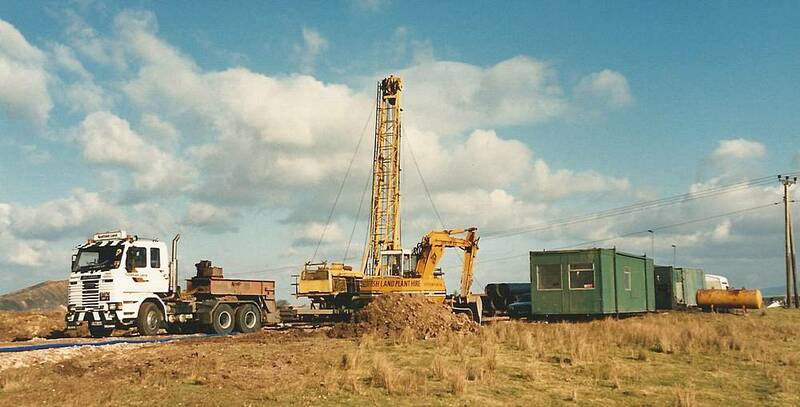 Plant arrives on the site for exploration in 1988. 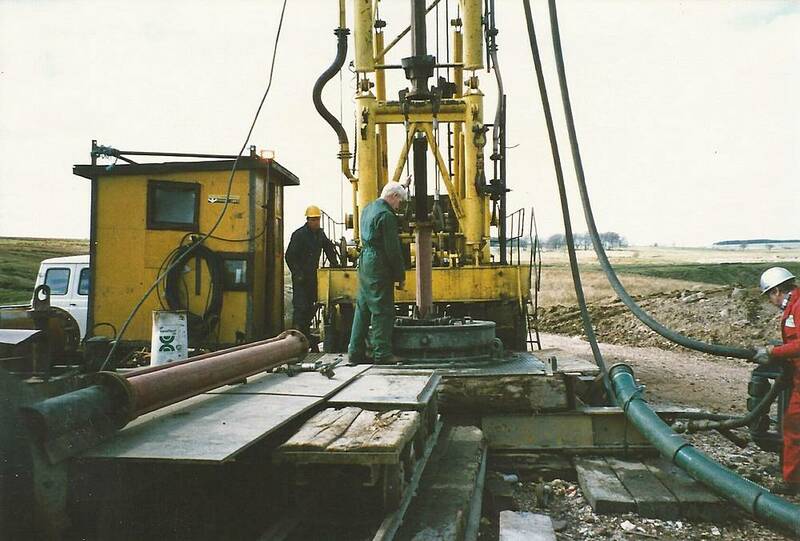 Lowering the pipe on the boring rig. May 1988. 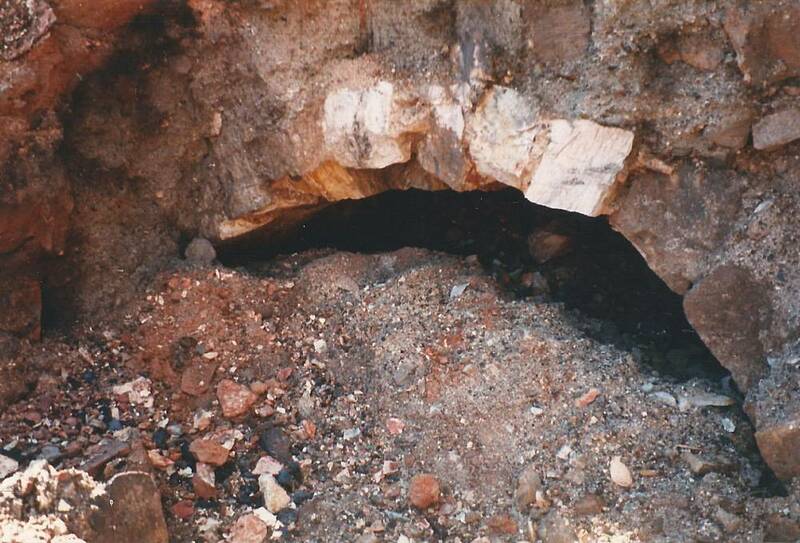 An exposed stone arch found at Auchenbegg Pit Bing in August 1988. This possibly could be for limestone burning.